How to Books. 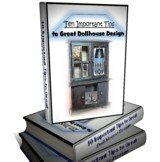 Build up your Dollhouse Knowledge with these Great Bargains. How to books are one of my personal all-time favorite styles available in the marketplace today. When we lack information or knowledge in particular areas of our lives we can always look to instruction manuals to supply our need. In any particular situation there is an individual or group who have been there done that and are prepared to share their knowledge. Miniaturists how to books are no different. Here, featured below is a wealth of knowledge that authors are wanting to share with you. Plus some are tremendous bargains for the amount of info they possess. $13.15. This beautifully illustrated book captures the full breadth of Mulvany and Rogers’ achievements, and reveals the techniques and materials they use to fashion their stunning recreations. Practical projects for the reader include wood paneling, parquet flooring, trompe l’oeil marbling, and much more. $8.59. Start with basic pieces that require little more than a craft set; as confidence and skills increase, move on to more demanding work involving cabinet construction and miniature power tools. At every stage, there's an inventory of the necessary tools, equipment, and materials, plus same-size drawings, cutting lists, and color photographs of the completed furnishings. Try easy upholstered furniture; balsa tables, benches, and birdhouses; and imitation basketwork, including a laundry bin. $4.56. This is a great book filled with easy to follow patterns. I would add even more stars if I could. This is a definite must have for all that make miniatures. I also recommend any of her other manuals you can get your hands on. Keep a lookout for this author! Very Important Must Read Concerning Prices: At the writing of this page, prices were as stated above. However as we have seen many times before prices have been reduced on these how to books even further. So our total definitely holds some surprises for the better just for you. Happy Shopping. Visit our Toy Shoppe today for furnishings..... and how to books..... to upgrade your present knowledge, find designs or ready-made accessories.